It’s always great to be able to play online slot games with demo money before you have to spend your own money on them. Fortunately, the website Tunf.com allows avid gamers to do just that. Featuring titles from brands like Microgaming, iSoftBet, Red Tiger, WMS, Playtech and more, the collection of games available to play there is constantly increasing in size. Recently, the lobby began offering Nektan slot games to players in free play mode, too. Therefore, anyone who wants to experience slots from this developer before accessing them at an online casino can do so at Tunf.com. Nektan games already have a large following within the casino industry, thanks to the developer’s route of creating intriguing and attractive slots. Of the titles on hand in free play mode at Tunf, there are options like Mummy Gold, Candy Swap, Gunslinger’s Gold, Loaded PI and Magic Touch, to mention just a few. For the time being, 21 of Nektan’s online slot games can be found at the website for players to access. The Tunf.com website hasn’t been in operation for a huge amount of time, but its aim is to bring together slot games from multiple developers. These games will all be accessible in one and the same place, so avid slot players can navigate to the site and enjoy them in full for free. It’s like a casino, but without any need to sign up or deposit money. Essentially, it’s all free and quick. The site also has an easy-to-use filter system, allowing gamers to sort through the titles to find the one(s) that they want. Filter options include browsing through the games by developer, by theme, by the number of pay lines, the number of reels and to sort the slots in different ways, too. As of writing, the website hosts around 1,500 different slots from some of the world’s biggest software developers. With the addition of Nektan’s games to its lobby, the collection has grown even more, catering to a wider audience. The Nektan brand began in 2008, with the company looking to take advantage of the growing mobile gaming scene. Since that time, all of the brand’s games have been outrightly designed to cater to the mobile market primarily. 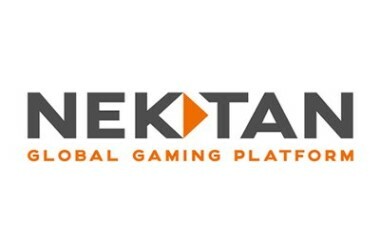 Using HTML5 technology, Nektan’s titles are also able to be integrated into desktop casinos as well, meaning that they’re accessible by all types of gamers. Over the years, Nektan has grown considerably, purchasing companies such as Mfuse along the way. Furthermore, the brand has also been able to open up its own online casino platforms, with the first one being Chomp Casino in 2014. Now, with the developer’s games being accessible via Tunf.com, this can only serve to further expand its appeal and subsequent growth.